Anyone who plays online games (especially on PC) will tell you that having a high ping is definitely not good, sometimes you get a large one even with the best configuration that is possible. Ping is a measure of the speed of your connection or, more specifically, the latency of the connection. In case you have problems when playing the game due to the delay, below is the short tutorial which will help you to reduce ping latency on Windows 10 device. Click on Start. 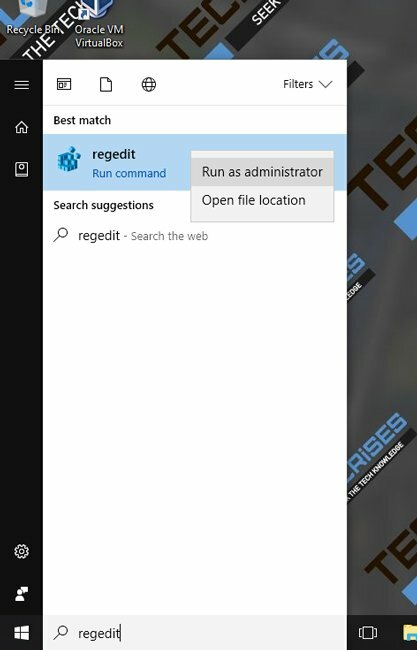 Type in regedit and run it as Administrator (by right clicking on it and choosing the appropriate button). Go to branch HKEY_LOCAL_MACHINE\SOFTWARE\Microsoft\Windows NT\CurrentVersion\Multimedia\SystemProfile. 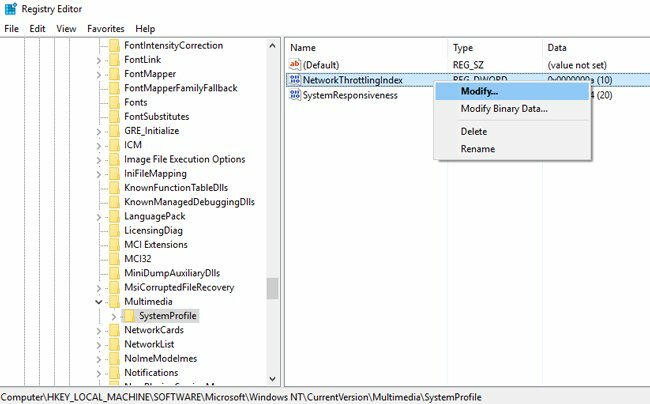 Right click on NetworkThrottlingIndex and choose Modify. 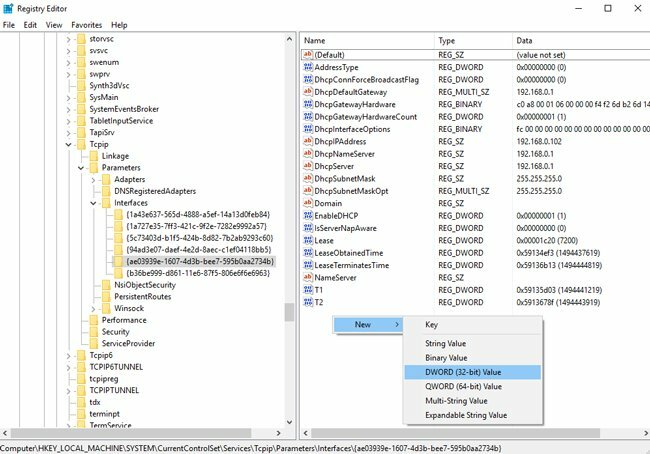 Set Value data to FFFFFFFF and click OK.
Now go to branch HKEY_LOCAL_MACHINE\SYSTEM\CurrentControlSet\Services\Tcpip\Parameters\Interfaces\ and choose appropriate element from the list (you need to select one that has your IP address). 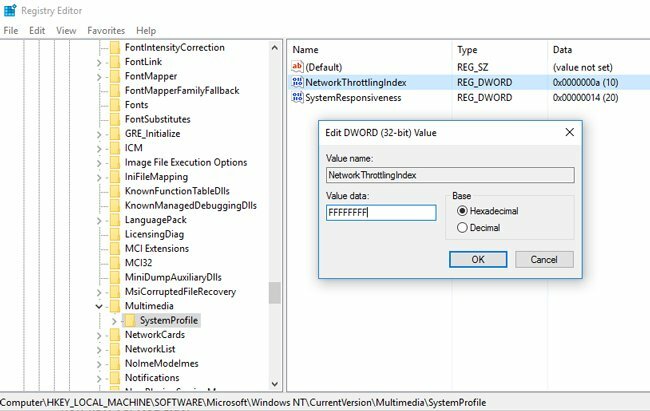 Right click in the right area of regedit, click New -> DWORD (32-bit) Value. 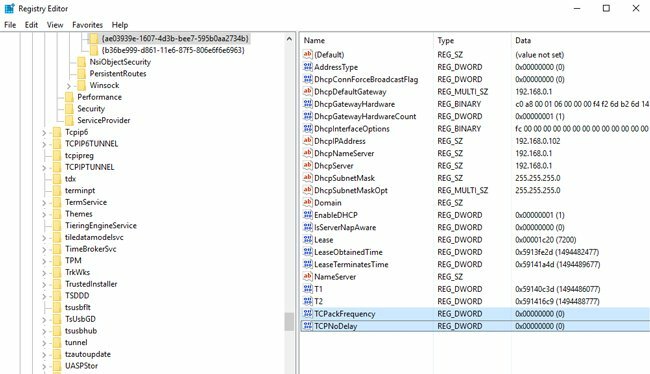 Give it a name TCPackFrequency. 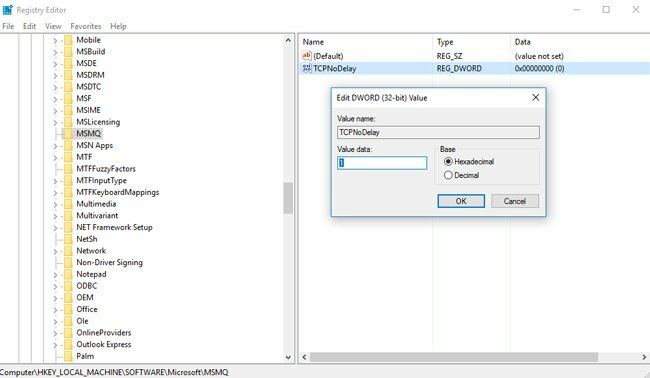 Right click in the right area of regedit, click New -> DWORD (32-bit) Value. Give it a name TCPNoDelay. 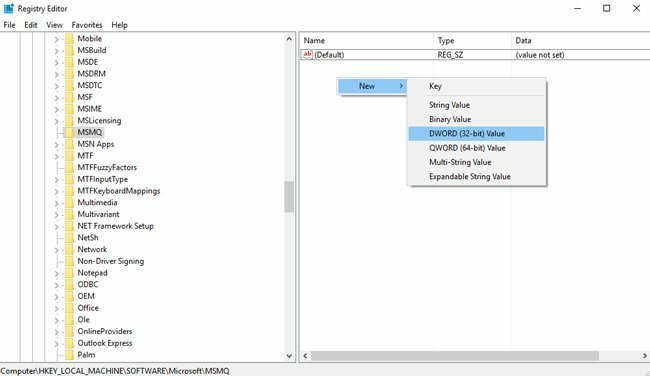 Double click on TCPackFrequency and set its value data to 1. Click OK. 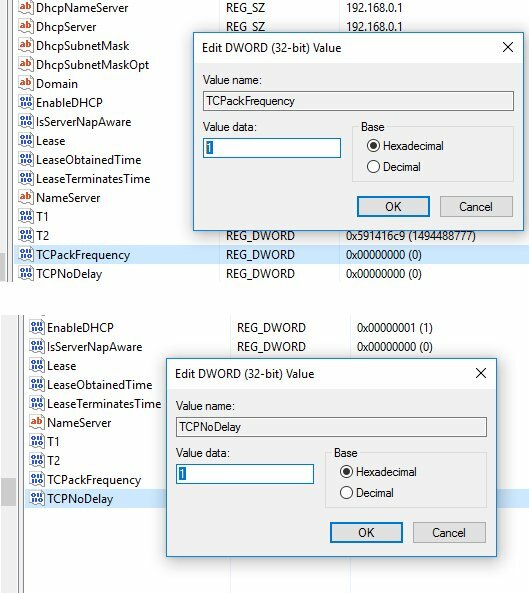 Double click on TCPNoDelay and set its value data to 1. Click OK.
READ ALSO: How to Clean FileRepository Folder in DriverStore? That’s it! From now hopefully your ping latency will decrease a little bit. Tip. Some interference could be created in case you are and there are also other wireless devices (like smartphone, iPad, wireless mouse/keyboard, controllers and others) around your Wi-Fi adapter or router.